After almost 5 years and 1,112 posts, I've decided to put The BDR on indefinite hiatus. It's been a great ride. I've enjoyed almost every minute of it. But the joy of discovering and sharing has, over the past few months, become the tedium of finding and posting. So it's time to stop. I might resurrect The BDR if it feels right, or I might blog about something else. It's too early to tell. Follow me on Twitter (@theBDR) for book-related (and other) stuff, and satisfy your book design jones over at The Casual Optimist, Faceout Books, and The Book Cover Archive. Those guys are the best. Again, my heartfelt thanks for 5 fun years. Talk to you soon. Oh, I'll miss you and your sharp observations! Thanks so much for your efforts to bring the world of design home to me. Enjoy your break! Sorry to hear it, man. Bummer for us - I've really enjoyed checking in - but congrats to you. It was always interesting, even for a non-designer like me. Thank you for sharing the art and the thoughts. Your site has been one of my weekly habits. Thanks for the past 5 years and I wish you happiness in what lies ahead. Oh, no!! I'm going to miss the BDR a lot... Thank you for putting so much time into a great blog. Good luck in your other projects. As a latecomer to this blog I am sorry to hear this news. I just got here. Still, I can start attacking the archive now. Thanks for providing an engaging look at book design. Aw man, that's sad – but thanks so much for the site these last years. It's been really great. Wow, that's a great adventure. i also want to explore that big lonesome land in northern hemisphere. Thanks for this great ride... and too bad it stops, I liked it a lot. Best luck for what's to come. Also, since the comments (and thus you people) are also a great part of what so good about this blog, I suggest we all switch to the same book design blog. Any preference? You're of course more than welcome to join Joseph. Thanks for all your work-- I'll take this opportunity to browse through your archives! Wonderful project. Good luck in your next ventures. i just wanted to say that I enjoyed reading your blog. Although I'm not a designer, The BDR gave me insight into book cover design and was a pleasure to read. Hey Joseph. Thanks for all your work over the last 5 years. The BDR was amazing and clearly a labour of love. I can honestly say that I would not have started The Casual Optimist without it. I certainly can't replace you! Good luck with all your future projects and stay in touch man. Thank you, Joseph, for sticking it out this long. Keeping up with a blog is quite the committment, and you sticking it out for five years is a testament to your dedication. This blog was one of the first - and certainly the most high-profile - blogs to showcase book cover design. You set the standard. Thank you for shining some light on this curious subgenre of design. Thanks for all the love and hard work you put into this blog over the years Joseph. I will miss it and hope you return after your hiatus. Enjoy! I just realized this probably makes my BDR t-shirt a collector's item. Hot dang. Sad to hear, but you can go on in the happy knowledge that after discovering your blog and coming back to it on a fairly regular basis, I no longer look at books in a book store the way I did before. So thanks, and take care. Thank you for all of the great design, commentary and fun over the years. You are a class act, sir, and The BDR will be sorely missed. I look forward to joining you on your next online adventure, whenever and wherever that may be. I will really miss your posts! You always chose great covers to feature and I thought your commentary (and comebacks!) were always smart and classy. You will be missed Joseph. Thanks for the 5 years of BDR. I've got a very short list of blogs I visit and it just got shorter. Thanks for all the posts over the years Joseph. Oh, SOOOO sad! Yours is one of the blogs I most look forward to seeing. I've enjoyed the interesting covers, and especially hearing your insightful comments. I certainly respect what you're saying though. If the passion is gone, what's the point? Good luck with whatever your passion leads you to do next. But if you feel the urge to occasionally post a cover, just for the fun of it? I won't be deleting the BDR from my reader, and I'll always be delighted to hear from you. Good luck in whatever you do. Thank you so much for your wonderful blog posts. First John Self, now you! You'll be very much missed, but I can well imagine the weariness that five years of such inventive blogging can produce in a man. Thanks for the always entertaining, thought-provoking and enlightening blog, and all the best for whatever you do next! I'm an editor at a small book publishing company and your blog has changed the way I think about and look at book design: thank you. I know I'll continue to explore your archives. You'll be missed! gosh, ill miss this blog. thanks for all your hard work--its been an amazing time. noooo! i sent this post to a friend and she had the same dismayed reaction. i'll miss your delightful posts. best wishes. Very best wishes moving forward, and congrats on a great run. Joseph, thank you for the wonderful five years you have devoted to helping expand our horizons when it comes to book cover design. It's been a pleasure to ride along on this journey, and I wish you well moving forward. Thank you all for your nice words. I'm very humbled. Good. I won't miss you and your empty criticisms. Anon: but I will miss your comments. And be sure to follow me on Twitter, Anonymous! Twitter.com/EmptyCriticisms...that has a nice ring...I wonder if it's taken. It's a real shame that you're not going to continue... You're blog is definitely one I check every day, and I'll miss your observations, and cover choices. Hope you come back to it soon! Thanks for great posts - I only found your blog last year, so I'm sad to see it go, but it was great while it lasted. Oh NO. How can I get through the week without your blog? Saludos from Mexico City, I've been reading your blog for close to four years now. Can't even remember how I got here. Sad to see it go. Good luck on everything and thanks for showing us all those cool covers. Wow… I'm really saddened to hear this. You've been one of my favorites for a long time. Let me know if you ever want to briefly jump back into the world of book cover bloggin! Oh no!! But thanks--it's been a great read. Every time I go into a book store, I find myself picking up books just because I recognize the cover from your blog. Looking forward again on your site sir. Maybe I'll be back here sooner if you update again. Really bummed to hear you are closing down shop. This was a great blog and I enjoyed it tremedously. Always fun to dissect book covers! Best of luck with all other endeavours. Thanks for the engaging, entertaining, and engorging read thus far Joseph. All the best in your new season of life. Any chance of passing off the blog to someone else you trust? It does serve a good purpose. Oh my god, i will miss you a lot. You comments will be missed! A big thank you from the Netherlands and take care !! 5 years and 1,112 posts, wooooo, no wonder your blog is so hot. aw! I've been very busy doing my work, I was once visiting here, but wanted to say sorry because you left for a while. Take care. We will really miss you. If you ever come to Buenos Aires please let me know, ok? Thank you Joseph to share it with us. We glad to know you and expect lot more from you. Wait! No! I discover you two months AFTER you go on hiatus? That is so wrong. 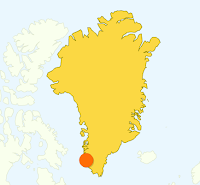 Come back so Abilene, Texas can join your fan in Nuuk, Greenland on analytics reports! Rio de Janeiro will sorely miss you though. Now what am I supposed to do? One less blog - one less coffee cup! Are you sure you want to jeopardize the coffee market? If so .. we had a good ride. Thank you. I only started reading your wonderful blog about 2 months ago - am very sorry as a latecomer that you've taken this decision. I wish you very best of luck, hope you might start another blog one day. Cheers, Tony. NO DONT DO THIS PLEASE! Thanks for this great work and good luck. the team from www.aussenleuchten-aussenlampen.de aus Deutschland. Wow... it has been 5 years! thanks. I've always been fascinated by book cover designs. And your creative observations has been my inspirations. Thanks! It's been a long time sinec you stop blogging. And we still waiting for your coming back.